Morley, Christopher. Parnassus on Wheels. Philadelphia. J.B. Lippincott Company. 1955. 160 pps. Octavo. Hardcover. Reprint. Illustrated. Fine copy. Morley, Christopher. The Haunted Bookshop. Photo available. Philadelphia. J.B. Lippincott. 1955. Octavo. Hard cover. Illustrated. Fine copy. Morrison, Toni. Jazz. New York. Alfred A. Knopf. 1992. 229 pps. Octavo. Hardcover. First edition. Fine copy in near fine dust jacket (in mylar). Moser, Barry. Fifty Years of American Poetry. Anniversary Volume for the Academy of American Poets. New York. Harry N. Abrams. Inc. 1984. Octavo. Soft cover. First edition. Illustrated by Barry Moser. Fine copy. Owner name on end paper. Moss, Robert. Monimbo. A Novel. New York. Simon and Schuster. 1983. Octavo. Hard cover. First edition. Fine copy (owner blind stamp) in fine dust jacket (in mylar). Moua, Mai Neng (ed). Bamboo Among the Oaks. Contemporary Writing by Hmong Americans. St. Paul. Minnesota Historical Society. 2002. Octavo. Soft cover. First edition. Fine copy. Mowat, Farley. A Whale for the Killing. Toronto. McClelland and Stewart Limited. 1972. 239 pps. Octavo. Hardcover. Stated first edition. Fine copy in near fine (light shelf wear) dust jacket (in mylar). Moye, Catherine & Ralph Steadman. Asleep at the Wheel. London. The Bodley Head. 1989. Octavo. Hard cover. First edition. Jacket illustrated by Ralph Steadman, author photo by Koo Stark. Fine copy in fine dust jacket (in mylar). Mrosek, Susan. 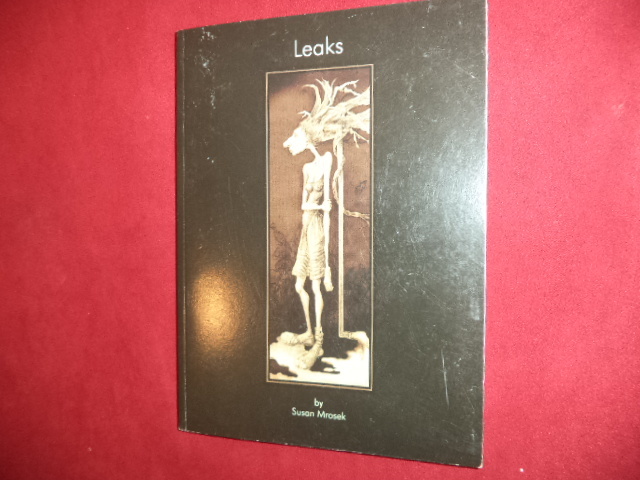 Leaks. Inscribed by the author. Photo available. Tucson. Pondering Pool. 2004. 91 pps. Octavo. Soft cover. First edition. Illustrated. Inscribed by the author "Susan Mrosek 5/4/05". Fine copy. Mullane, Deirdre (ed). Crossing the Danger River. Three Hundred Years of African-American Writing. New York. Doubleday. 1993. Octavo. Soft cover. First edition thus. Near fine copy (very light shelf wear). Muller, Marcia (ed). Kill or Cure. 16 Short Stories about Murder and Mayhem in the World of Medicine. New York. Bonanza Books. 1985. 306 pps. Octavo. Hardcover. Reprint. Fine copy (book plate) in fine dust jacket (in mylar). Mulock, Miss. John Halifax Gentleman. Photo available. New York. Thomas Y. Crowell. c. 1900. Octavo. Full leather. Fine copy. Mundy, Talbot. Old Ugly-Face. First edition. Photo available. Philadelphia. Wells & Shakespeare. 1950. Octavo. Hardcover. Red cloth. First edition. Scarce. Near fine copy (light spine sunning, owner name / date on end papers). Munro, Robert (Lord Alness). Looking Back. Fugitive Writings and Sayings. Photo available. London. Thomas Nelson and Sons. nd. 525 pps. Octavo. Hardcover. First edition. Important reference work. Fine copy in near fine (light stain on spine) dust jacket (in mylar). Murphy, Shirley Rousseau. Medallion of the Black Hound. New York. Harper & Row Pub. 1989. 182 pps. Octavo. Hardcover. First edition. Fine copy in near fine dust jacket (in mylar). Mycue, Edward. The Singing Man My Father Gave Me. Photo available. London. Menard Press. 1979. Octavo. Soft cover. First edition. Fine copy. Myers, M. (ed). Charles Warren Stoddard. 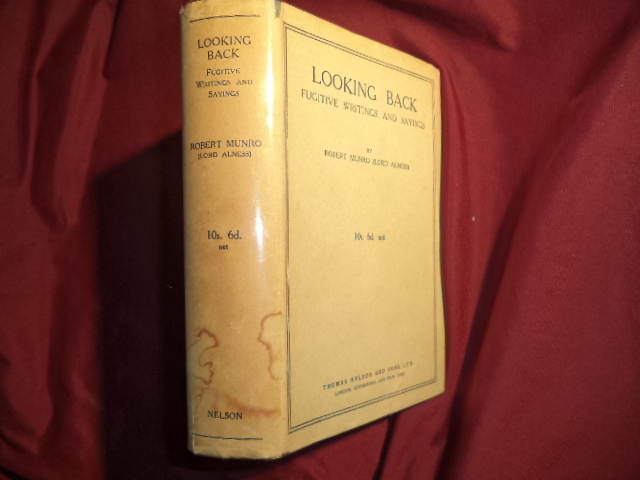 An Anthology in Memorium (1843-1909). Bristol. Bristol Banner. 1992. Octavo. Soft cover. First edition. Fine copy. Nash, Ogden. Many Long Years Ago. Boston. Little, Brown and Company. 1945. 333 pps. Octavo. Hardcover. Fine copy in near fine (light shelf wear) dust jacket (in mylar). Nash, Ogden. Versus. Boston. Little, Brown and Company. 1947. 169 pps. Octavo. Hardcover. Fine copy in near fine (light shelf wear) dust jacket (in mylar). Nathanson, E.M. The Dirty Dozen. np. np. 1965. 487 pps. Octavo. Hardcover. Japanese pirate edition. Fine copy (spine lightly cocked) in lightly edge worn dust jacket (in mylar). Neilson, W.A. (ed). Chief British Poets of the Fourteenth and Fifteenth Centuries. Selected Poems. Boston. Houghton Mifflin. 1916. Octavo. Hard cover. First edition. Fine copy.